Add 2 cups flour, 2/3 cup sugar, salt, yogurt, egg, zest, and vanilla to yeast mixture and mix at medium-low speed 1 minute. Beat in 1 stick butter, 1 Tbsp at a time, until incorporated. Beat at medium speed until dough is smooth and shiny, about 5 minutes. (Dough will be very sticky.) Scrape down side of bowl and sprinkle dough with remaining 2 Tbsp flour. Cover bowl with a kitchen towel (not terry cloth) and let dough rise in a draft-free place at warm room temperature until doubled, 1 1/2 to 2 hours. 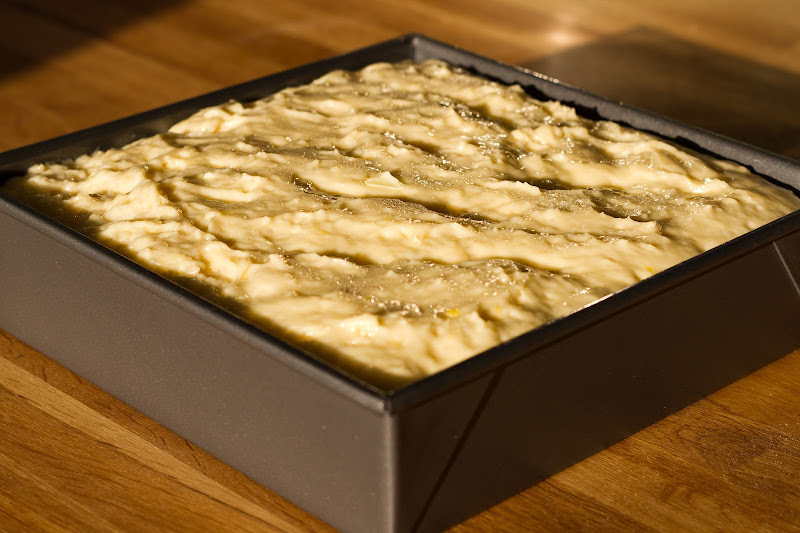 Spread remaining 2 Tbsp butter in bottom of a 9-inch square baking pan and sprinkle with remaining 1/3 cup sugar. Cut each plum half into 5 or 6 slices and arrange in 1 layer in pan. Stir dough until flour is incorporated, then spread evenly over plums. Loosely cover with buttered plastic wrap, then kitchen towel. Let rise in a draft-free place at warm room temperature until almost doubled, about 1 1/2 hours. Bake until kuchen is golden-brown and a wooden pick inserted into center comes out clean, 30 to 35 minutes. Cool in pan 5 minutes, then invert and unmold onto a rack to cool completely. COOKS’ NOTE: Kuchen is best the day it is baked but can be kept, loosely covered, at room temperature 1 day. *Not exactly true. I had a piece for breakfast and it was delicious... and so cold. My favorite poem, PLUS a kuchen? Win. No reference at all to gymnastics? This looks delish, though! Ich liebe kuchen. HA! 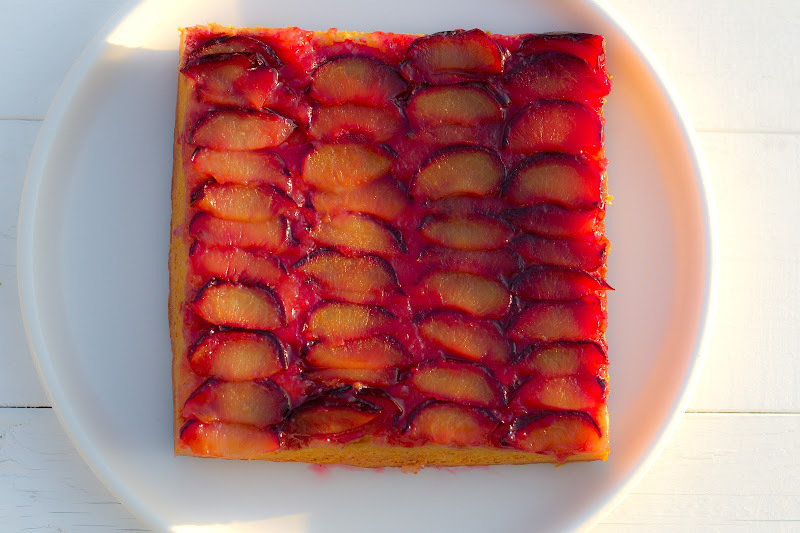 I would totally eat that plum kuchen if I found it sitting all unawares on my kitchen counter. :) Love it! omg amelia carlos amelias is one of my favorite poets!! crazy! the cake looks delish! So funny! These pics are gorgeous. I love your blog, always funny and sometimes surprisingly poignant. Long live Amelia Carlos Amelias, and the Kuchen looks delcious too! your skills are pure poetry! Amelia Carlos Amelias. Ha! I love this. Ha ha! 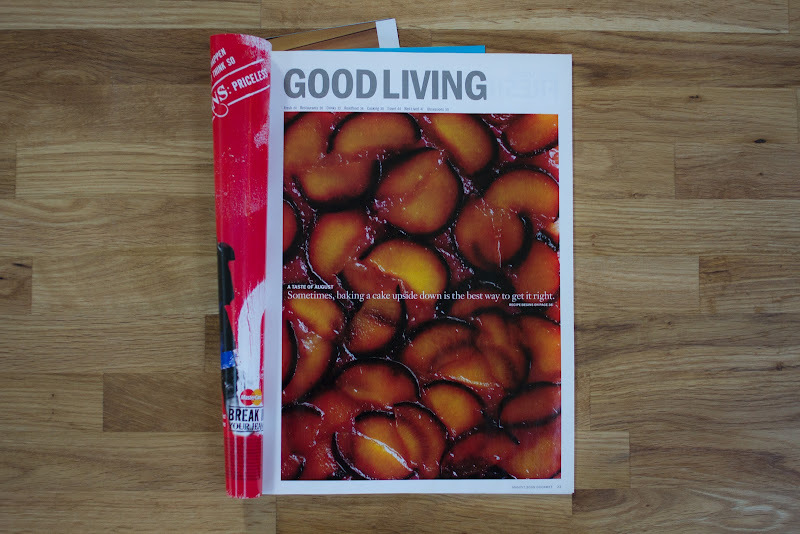 Did you see my post a few weeks ago with this poem and pluots? Those colors are wild! That's one good-looking kuchen, ACA. 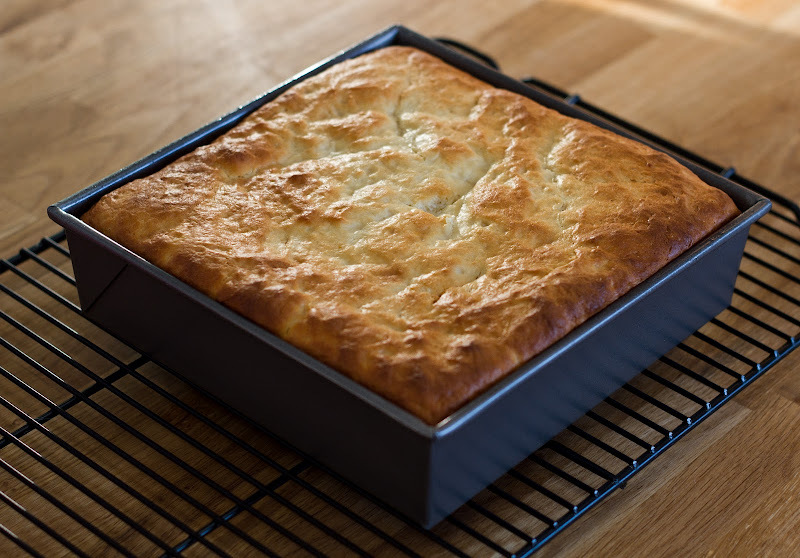 Note to self: must buy square cake pan...makes for a great looking cake. Katherine! Oh my goodness. we are blog twins!! Surely that deserves some kind of Olympic medal (if they have synchronized diving...), right?! Sure, I love a good BA post, but I have to give it to your commenters too - so entertaining, post after post. And thank you for introducing me to Eggton, Katherine! Also, has Matt ever been anything but the very first to comment? He's definitely the Michael Phelps of Bon Appetempt, right? That video is awesome, Meaghan! I don't have cable so I'm so glad you posted it. uh I gotta chime in here, Alex. Matt has most certainly NOT always been the first commenter. I, from time to time, when the planets are aligned just right, have been known to be the first commenter. Problem is, when that happens Matt throws an EFFING FIT. So I usually just let him do it. 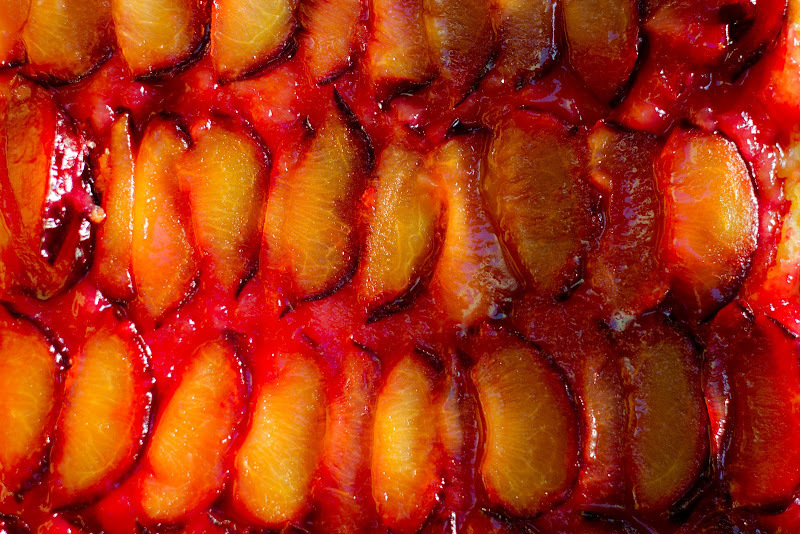 i ate many a "plum kuchen" in germany while i was there! xo. Very nice blog thanks for sharing the blog.Keep on update the blog. I never thought about that I will catch any information like that but your post really help me. Awesome things are sharing here. I like your post.